Medline Standard Instant Cold Packs is the preferred method to help reduce swelling, and help soothe abrasions and burns. 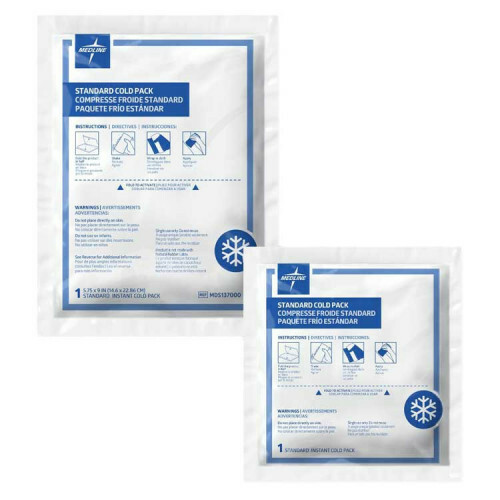 The Medline Cold Packs offers different sized options for allowing the proper coverage of your intended injured areas. With an easy to snap internal pouch, this pouch will start the low-temperature process immediately. As a safety precaution, always remember to never apply cold after exercise. 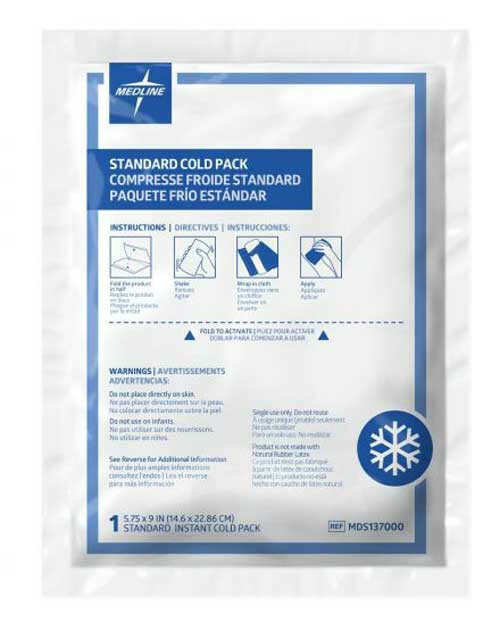 The Medline Instant Ice Pack has a thick plastic layer surrounding its contents to help ease with freezing applications, you should still wrap the cold pack around a cloth type or towel so as to not apply the cold pack directly onto the bodily areas as this could cause ice-pack burns. The ice packs come in two sizes: 5-3/4" x 9" (Medline MDS137000) and 4-3/4" x 6-1/4" (Medline MDS137020). Made of latex-free material, you don't have to think twice about applying the cold pack, it is intended for use with people who may even have an allergic reaction towards latex-based products. 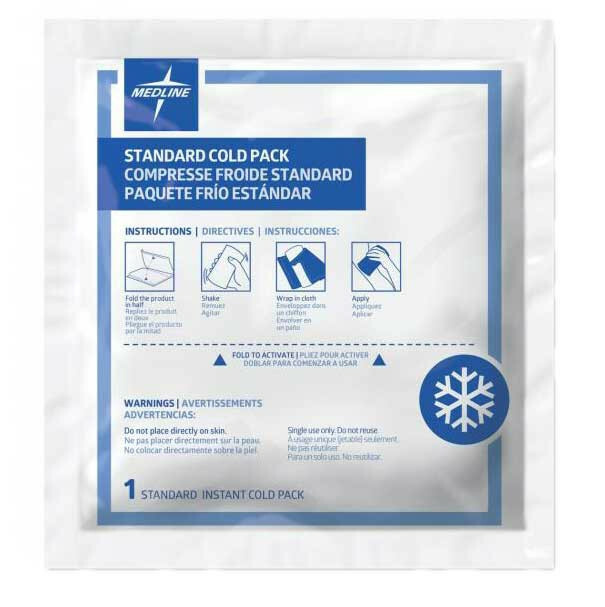 The Medline Standard Cold Packs have been, and continues to be the preferred method to ease swelling caused by impact, and decreases pain by numbing affected area. You have options when trying to deter pain and treat the areas in question such as a Reusable Hot/Cold Pack by Medi-Pak Performance. Reusable bags such as the Beyond Bodiheat Original Heat Pad, make sure that the use of heat will not cause more harm than good before applying, do a little bit of research to determine the best temperature applicator for your injury.